I had contacted KCM with a prayer request for a job. I received a phone call from a company that interviewed me November 2010. I thought they had filled the position, but obviously not. Thank the Lord for His mercy and faithfulness! He spared my life when another car ran into mine at a stoplight and totaled it! I came out without a scratch. Thank You, God! 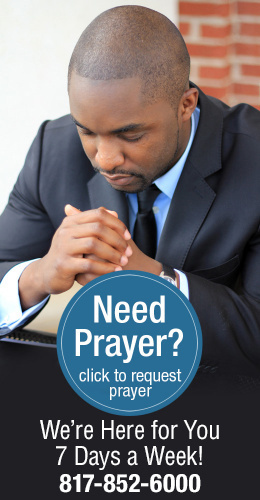 Two or three months ago I requested you to pray with me concerning finances of the church I am pastoring. God Prepared a Job Just for Me! I am a born-again believer, and ever since my friend told me, I am reading your BVOV magazine from 2009. It has been a great blessing in both finance and home situation. I have a great praise report! My husband has found a full-time job for at least six months and there is a chance for him to stay there longer. Thank you so much for your encouraging letter of January 28, and for joining with me for my daughter and the unifying of my family. For many months I have been writing to you requesting prayers for a job. by S.andD. Osborne, North Judson, Ind. After beginning a real-estate career that quickly flourished, I opened my own firm in 2007. My husband got a license to help out because of the tremendous growth of the business. Prayer Hits the Target...Hospital Bill Reduced! Thank you, KCM, for your precious prayer ministers. One of them called me one day when we were in the middle of a fierce battle over a huge hospital bill.